9TH TRT DOCUMENTARY AWARDS SUBMISSIONS ENDED. TO THE ATTENTION OF THE FINALISTS! 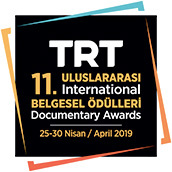 8TH TRT DOCUMENTARY AWARDS SUBMISSIONS STARTED!